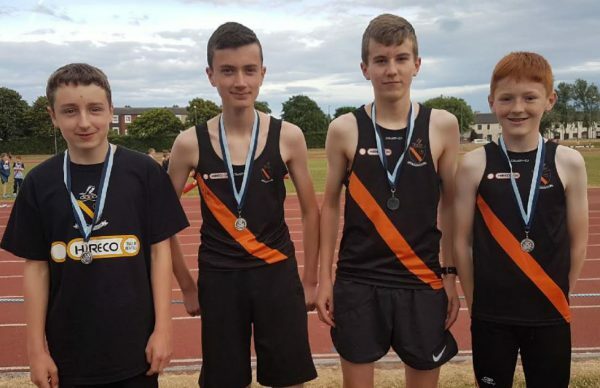 There was great success for the Clonliffe teams competing at tonight`s Dublin Juvenile Championships in Irishtown for the uneven ages relays. At the end of the two hour programme three sets of gold and two sets of silvers were heading back across the Liffey to Dublin`s Northside. In between there was blood, sweet, tears and smiles! 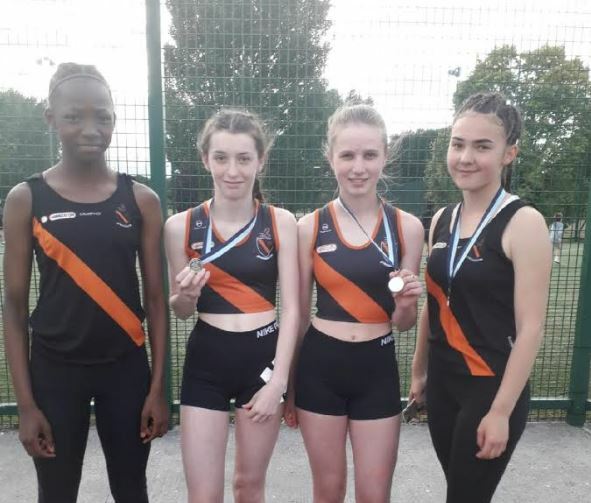 The U/15 girls 4 x 100 team battled like crazy to take the first set of medals of the evening as Paula Paracheuv, Sally Somula, Holly Foy and Naoise Cullen took silver. 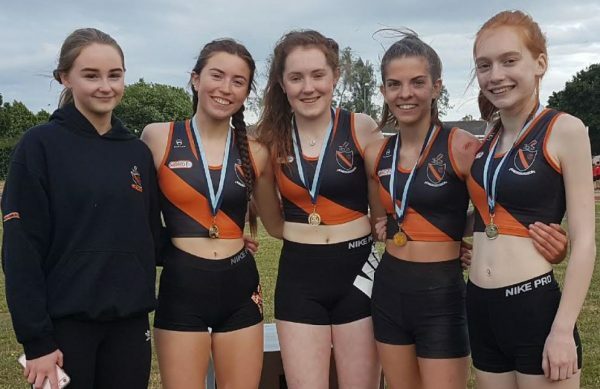 Then the U/17 4 x 400 team, made up entirely of middle distance athletes, took gold with an outstanding display all through the team from Vicky McDonnell, Abbie Sheehy, Sarah Bateson, who hit the deck at the change over, suffering considerable cuts and bruises, and then a battling Ella Brown on the anchor leg. A special mention also of Cara Curran Beggs completing the squad who warmed up and was ready, willing and able to step into the fray if required. Next it was silver again. This time the boys U/15 4 x 100 team, another gritting the teeth effort from the foursome of James McDonnell (a good day for the McDonnell clan! ), Jack Woods, Keith Burke and Andrew Gaffney. 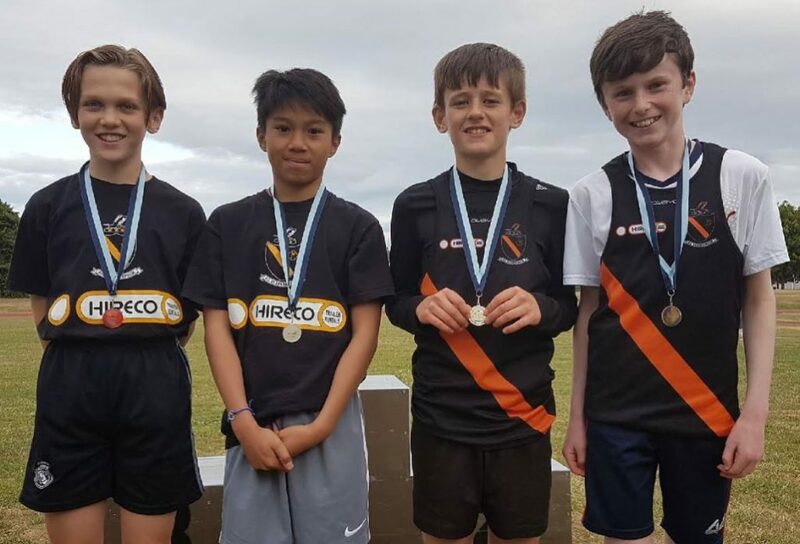 The U/13 boys had battled through heats and then in the final were just superb to win another Dublin title for Clonliffe as Charlie Duffy, Cian O`Hare, Christian Finn and Karl Balaore left a full field in their wake. 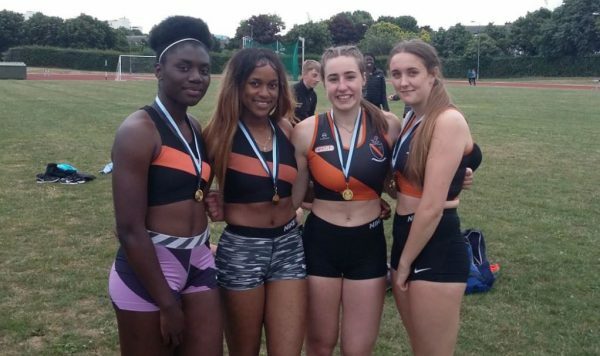 Finally then in the last race of the night the girls U/19 4 x 100 and again a brilliant team effort from Rebecca Fitzsimons, Lauren Carr, Rapha Diamond-Ebbs and Jessica Dedeko delivered more gold.